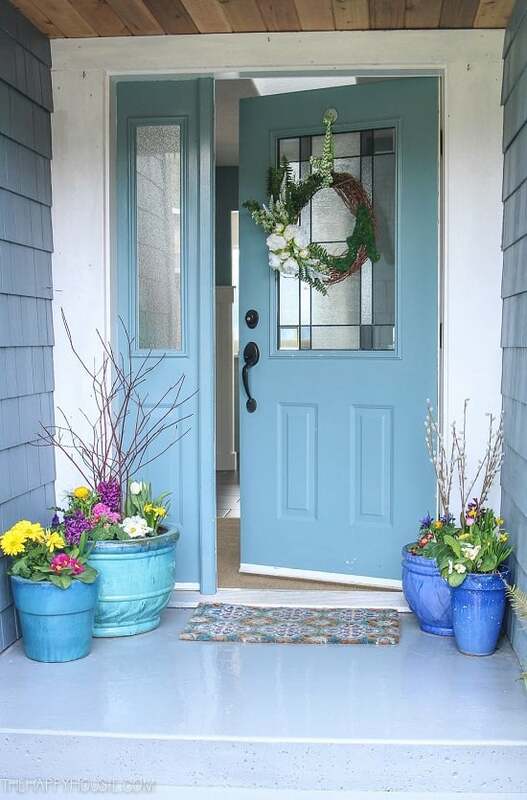 One of the best ways to decorate your front door is to add a decorative garden on it. 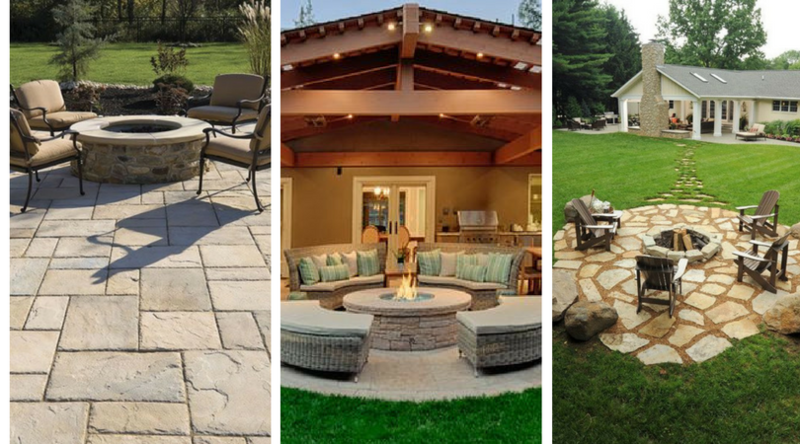 However, it is not always easy to install a beautiful ornamental garden. First of all, you will need an attractive planter. Second, you will need to pick up charming plants. Although the second is easy, the first can be tricky. 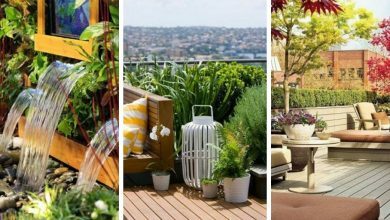 Therefore, in this article, we will provide you with some DIY porch planters that will help you create an extremely alluring and decorative garden. Scroll down and have fun. 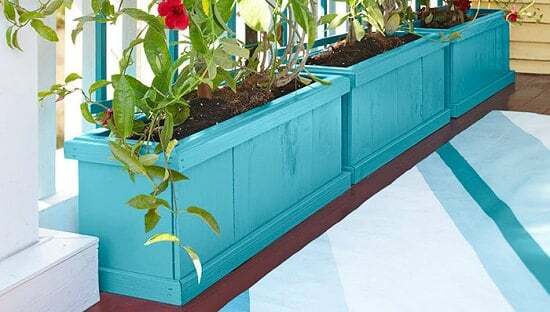 This is one of the most inexpensive DIY porch planters. It is also very easy to build. Visit Sow & Dipity to see the full tutorial. This is a very beautiful planter. It is also cost-effective. 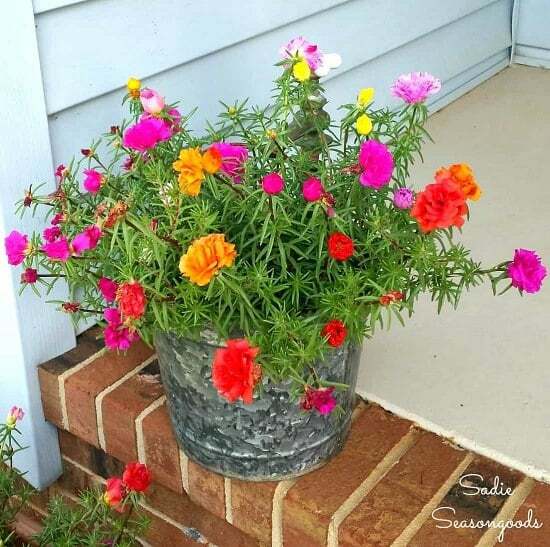 This planter will allow you to have a very decorative and colorful garden. I personally like it in blue but you can paint it in any other color. 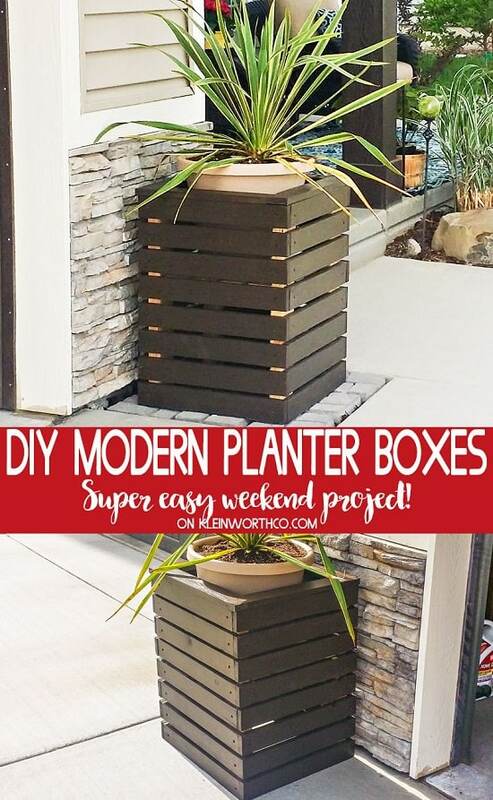 If you are interested, you will find all the instructions to build this planter in this post. Although it is small, this planter is cute enough to grab the eyes of your guests. It is very simple and beautiful. It is highly recommended if you have a really small porch. You can find the Tutorial at Shabby Creek Cottage. This is definitely one of the most beautiful porch planters. 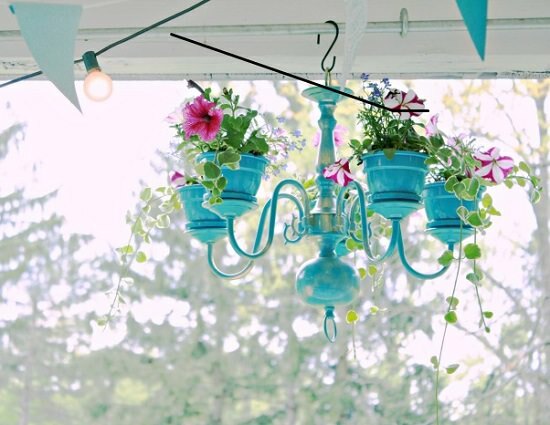 This chandelier planter will definitely add beauty to your front door. It is quite elegant and chic. Besides, it is a DIY project, it costs only a few bucks. 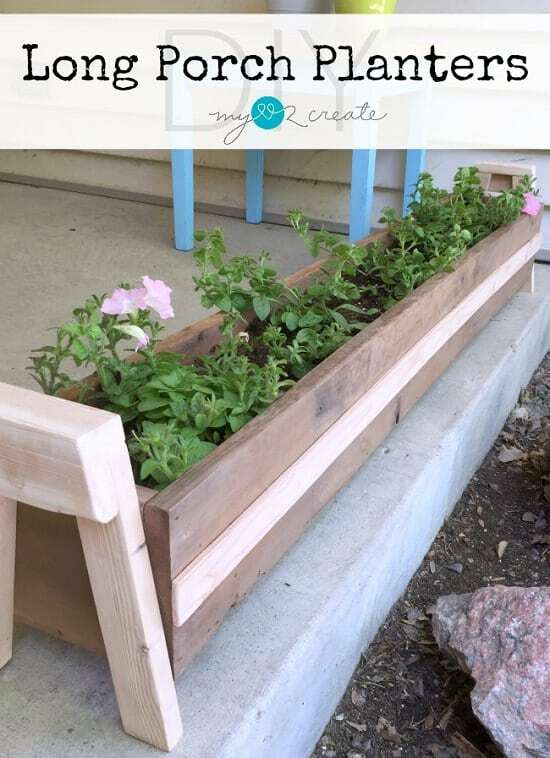 Take a look at this article to learn how to make this gorgeous planter. 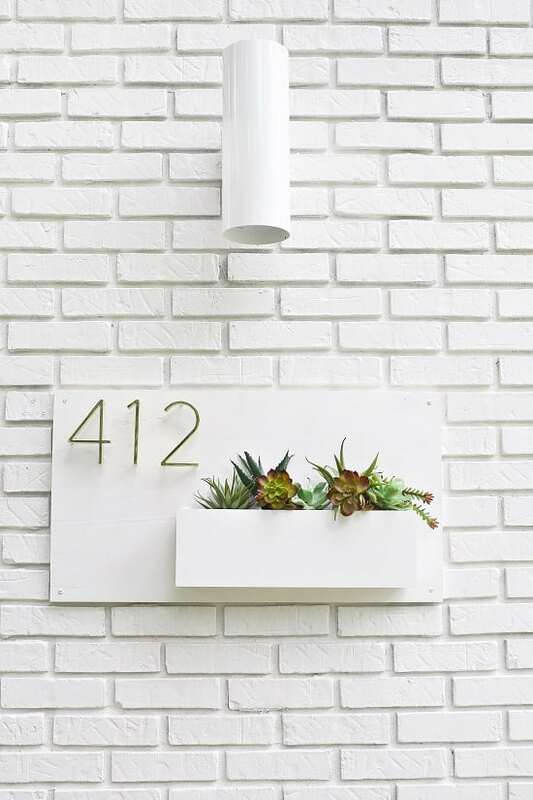 This is an extremely creative way to display your house number in a stylish and attractive manner. Follow these instructions to learn how to make this remarkable planter. This is a popular planter that is highly used to decorate indoors. It is one of most decorative planters. You can use it to adorn your porch. But, first, learn how to build this amazing planter by reading this article. 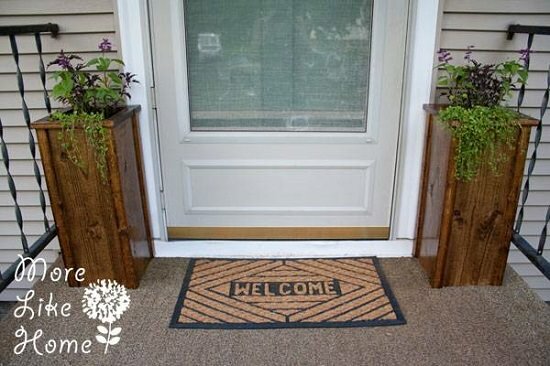 Welcome your guests and embellish your porch with this unique DIY welcome sign. This fabulous sign is very easy to make. Follow this tutorial and you will have it in no time. 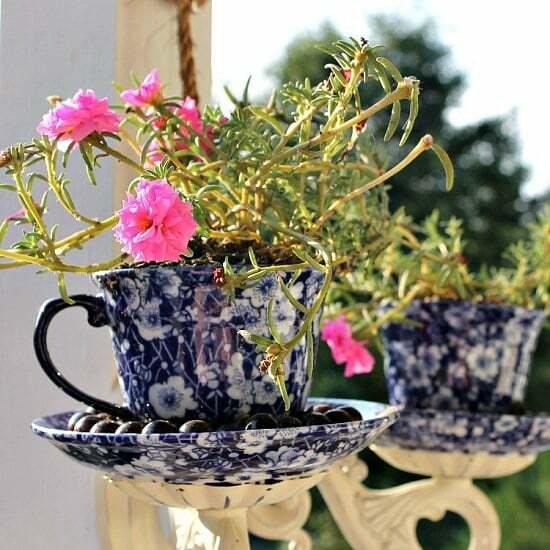 Terracotta pots are popular planters. 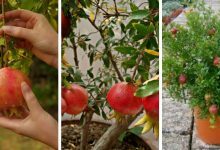 They are widely used for container gardening. They are beautiful, decorative and most of all they come in different sizes. 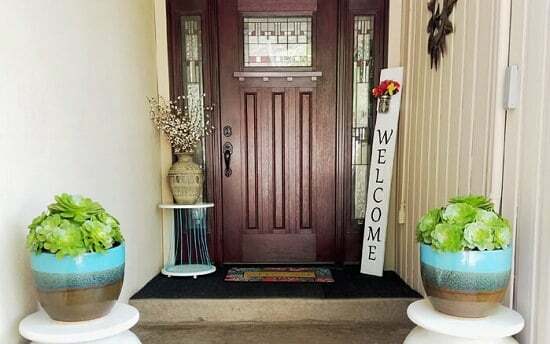 This planter is a cool way to transform your porch into a remarkable area. It is also a clever idea. 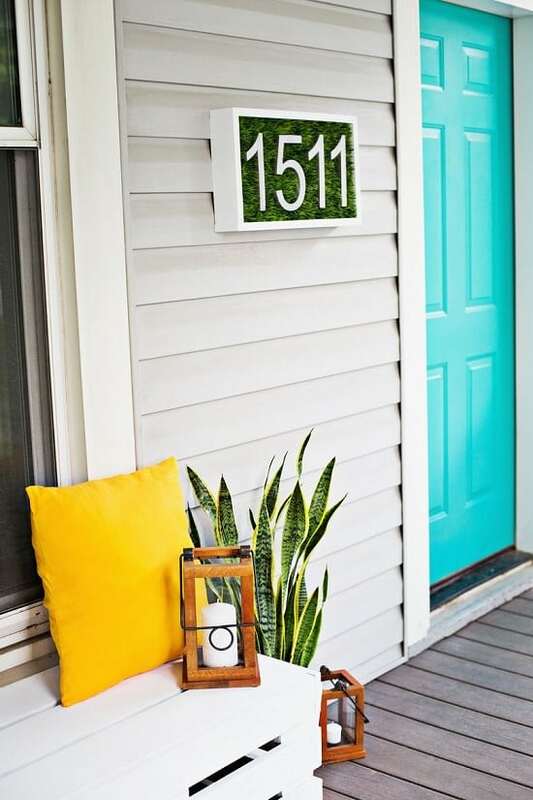 This letter planter will not only decorate your porch but it will also save you floor space. Learn how to make it here. 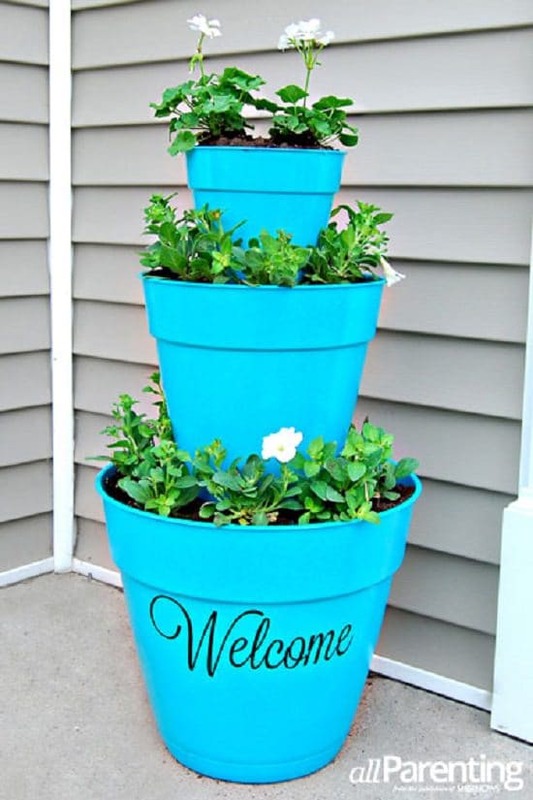 This is a quite simple planter to adorn your porch. This planter is very easy to make, just follow these steps. Succulents are among the most decorative plants. They come in different sizes, colors, and shapes. 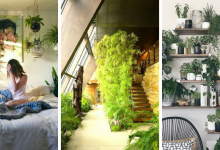 Having a succulent garden in your porch will definitely make it stunning. 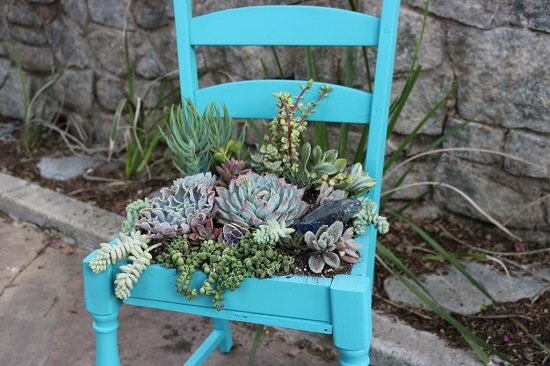 Succulents can grow in different planters including chairs. 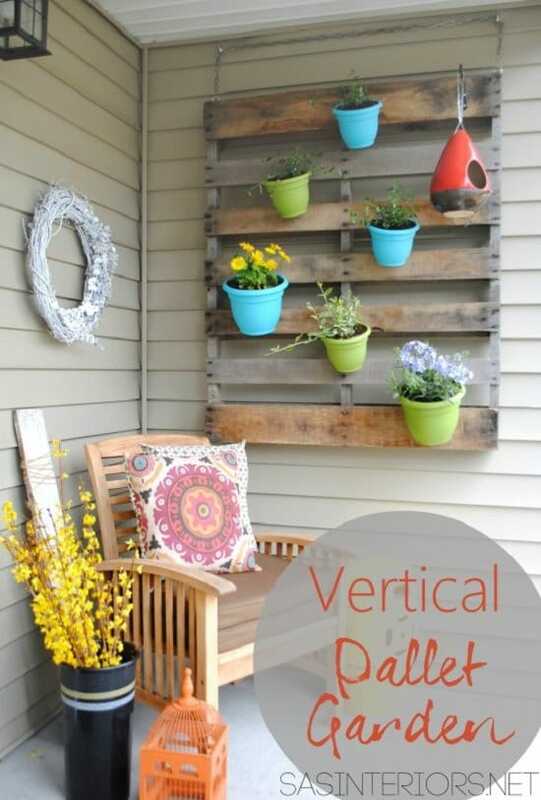 A vertical pallet planter is a smart idea to decorate your porch inexpensively. 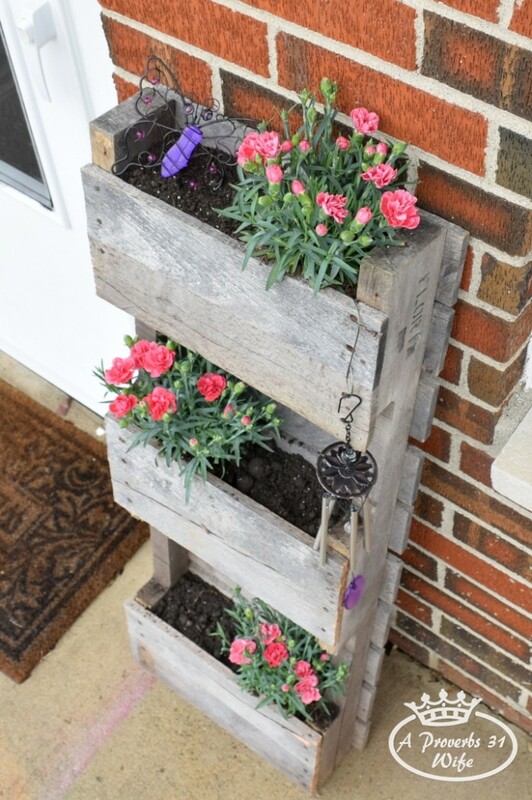 Pallet planters are beautiful and attractive. Besides, they are extremely budget-friendly. 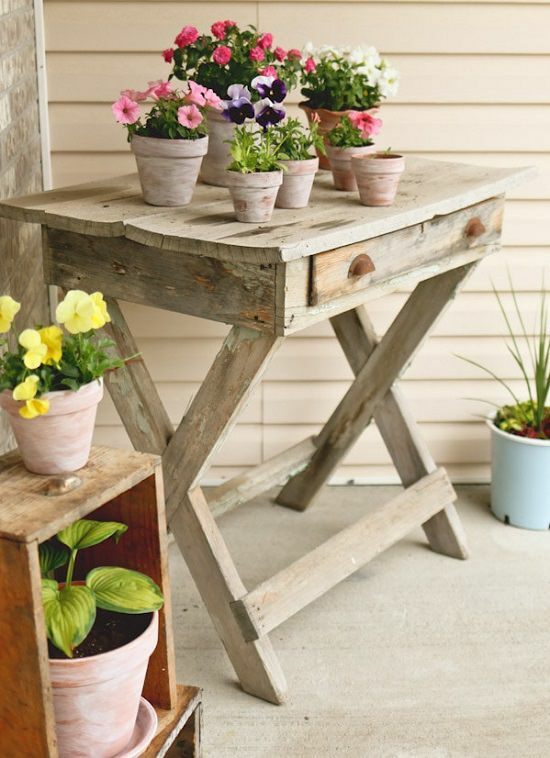 In order to make this adorable cheap pallet planter, follow these steps. 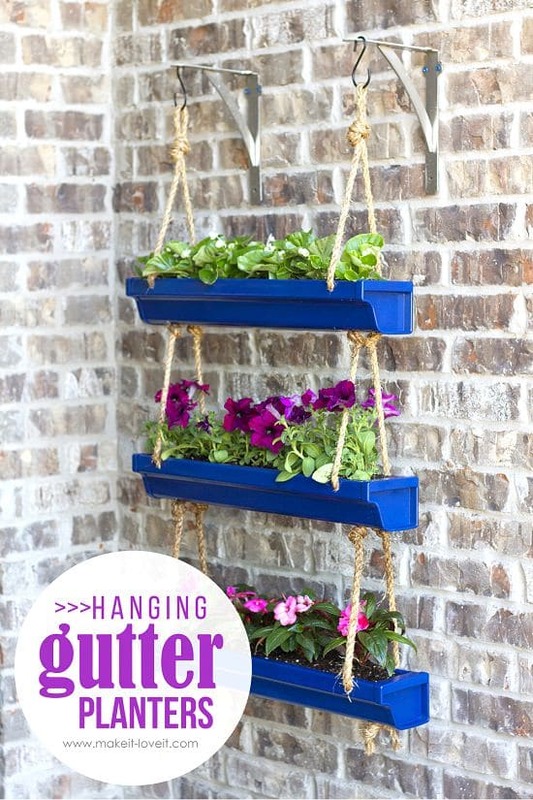 A hanging pallet planter is not only ornamental but it is also practical. It is an ideal way to add beauty to your porch while saving space. The details of this DIY project are available here. 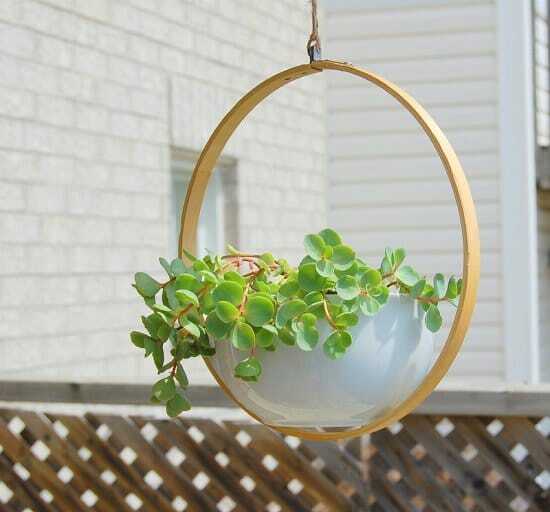 This DIY hanging planter will bring so much beauty and attraction to your porch. It is a very decorative item that you can create in a very inexpensive way. Check out this post for more information. If you are looking for a sophisticated way to display your ornamental plants, this planter is the ideal choice. It is very elegant and alluring. The wooden stands is easy to build. It is made of cedar planks and some other materials. Follow this link for the instructions. This is an off the grid planter. Instead of throwing away milk cans, you can transform them into planters. 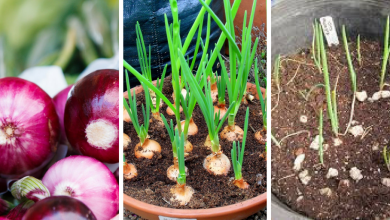 They are deep enough to allow any plant to grow and thrive. Besides, they can be painted in any color that suits your porch. You can also display your house number on them. 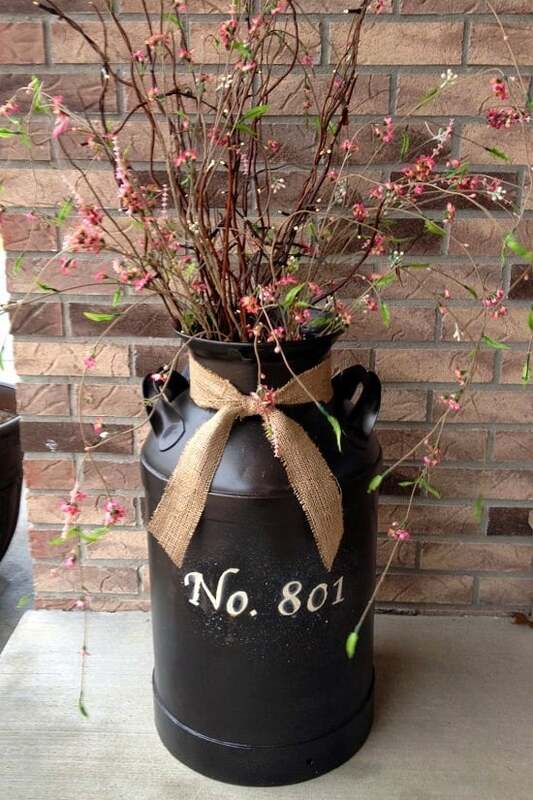 All the instructions you need to transform a milk can into a planter can be found here. This planter will decorate your porch and will allow you to grow more plants. This planter is an easy DIY project. You can make it even if you don’t have basic DIY skills. All you need to do is to follow these steps. Colanders are excellent porch planters. They are eye-grabbing and they are wide enough to hold many different types of plants. 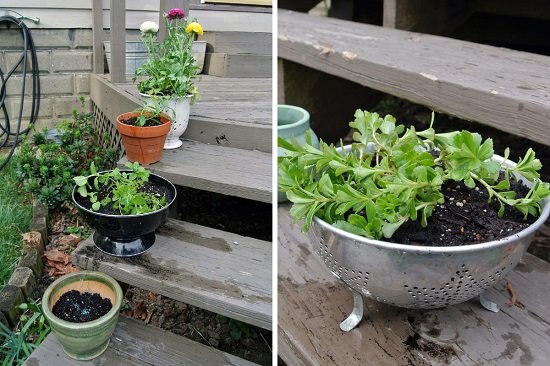 Transforming a colander into a planter is a quite easy task. You can see how to do it here. If you have an old useless light fixture, transforming it into a planter is perhaps the best way to make use of it. Learn how from here. This is a fancy way to make your porch more appealing. This planter will contribute to the charm of your porch. 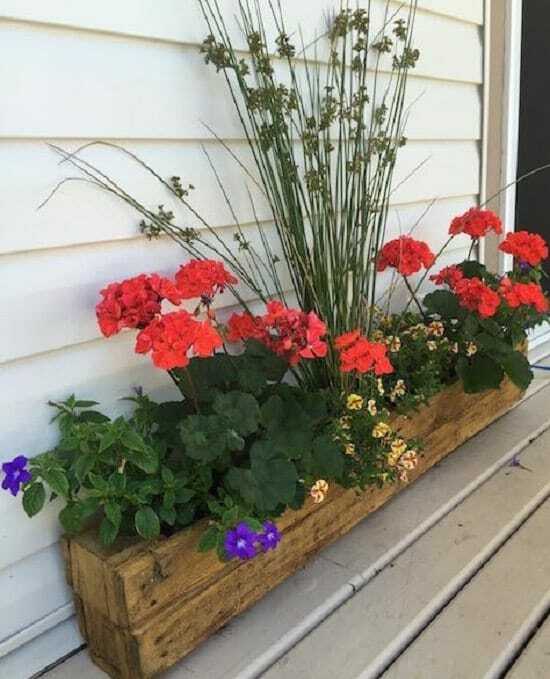 The The Hometalk will provide you with a fall tutorial for building this planter. This planter will allow you to grow many plants on your porch. 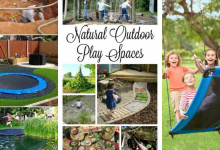 It is one of the best ways to bring nature to your front door. Building this planter requires that you apply these instructions. This alluring planter is one of the most inexpensive porch planters on this list. If you are interested in it, you will find all the information about it in this post. 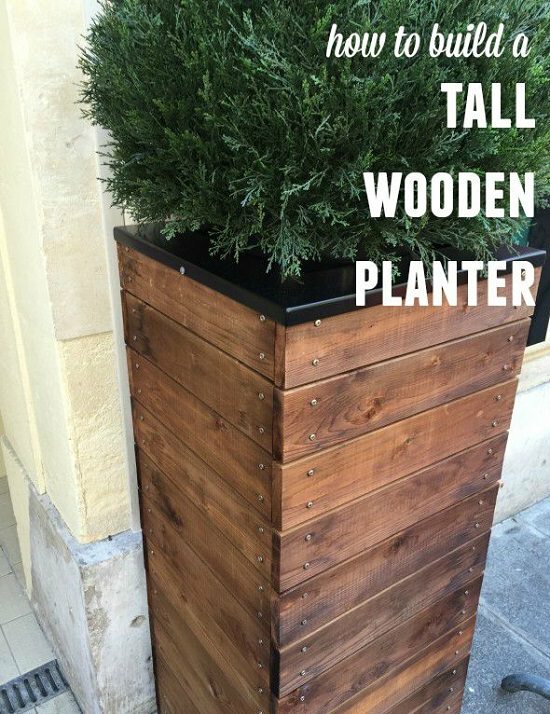 This is a chic cost effective wooden planter. It is also very decorative. 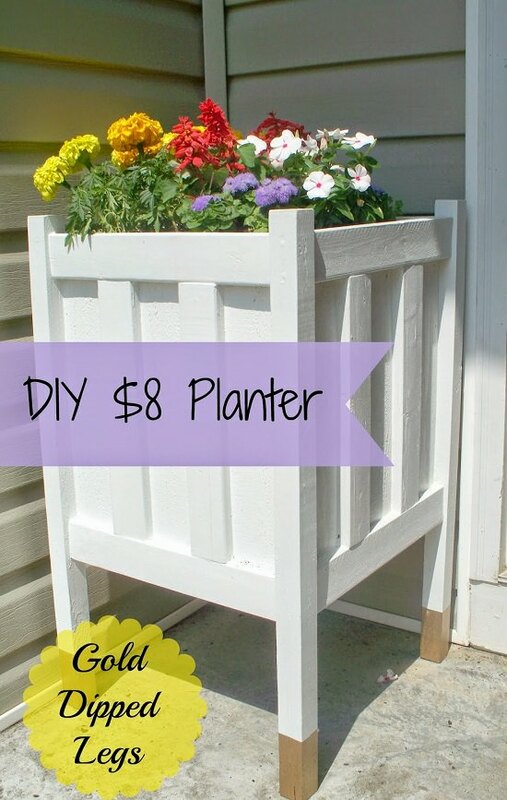 Shanty 2 Chic has a full tutorial on building this planter. 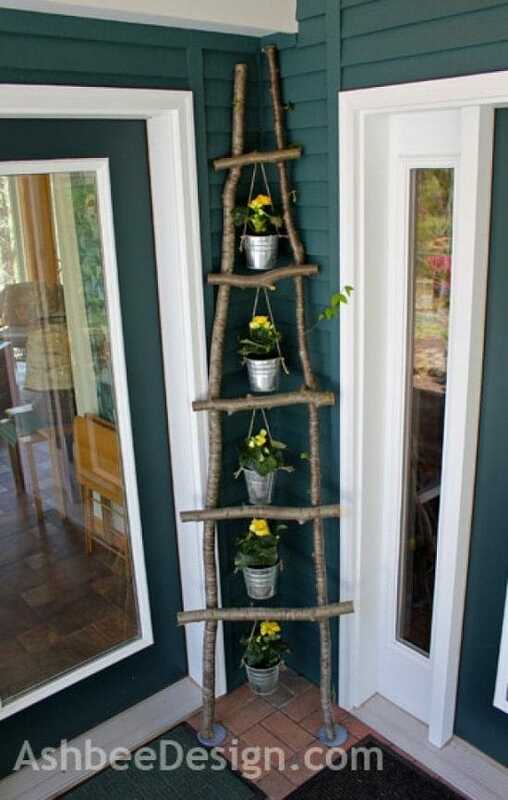 This is a quite interesting porch planter idea. I must confess, I find this idea very innovative and unique. 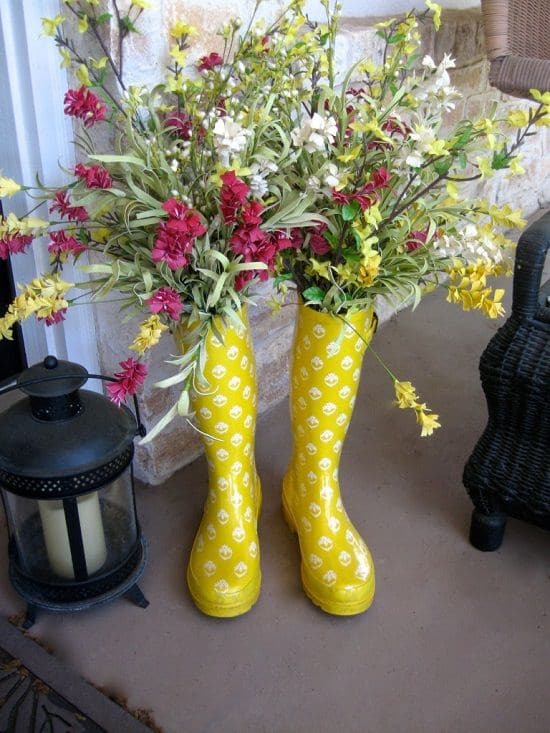 The steps that you need to transform rain boots into porch planters are available here. 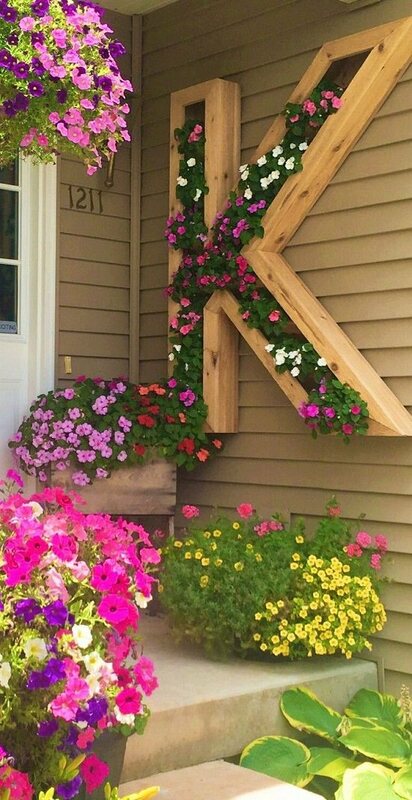 This is an adorable way to decorate your porch and grow some plants. Furniture in general and drawers, in particular, can make very decorative planters. This article is all you need to learn how to transform a drawer into a planter. 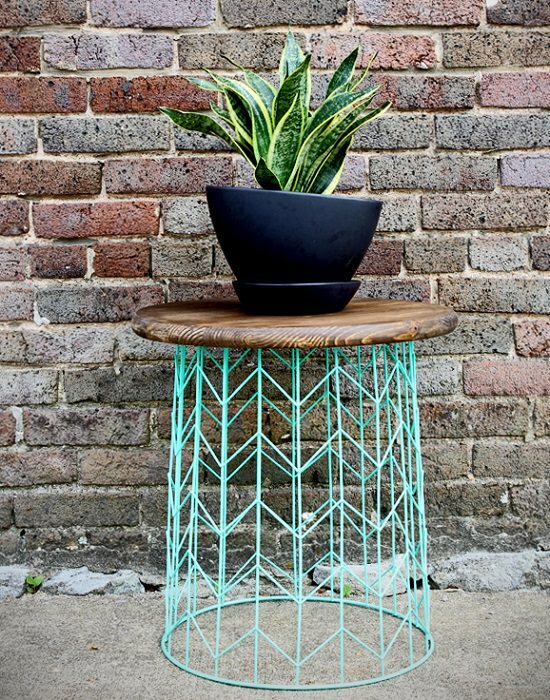 These amazingly decorative planters require certain DIY skills. However, if you lack certain skills, this detailed tutorial will help you. 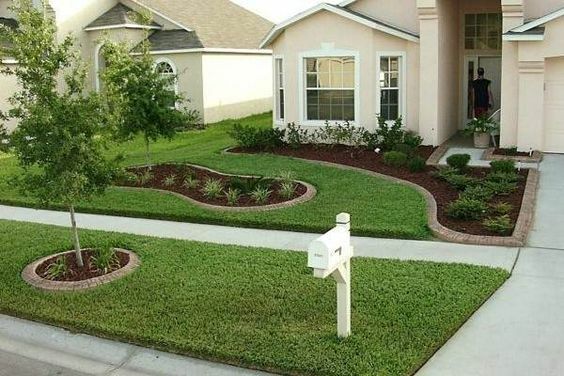 This is one of most appealing porch planters. 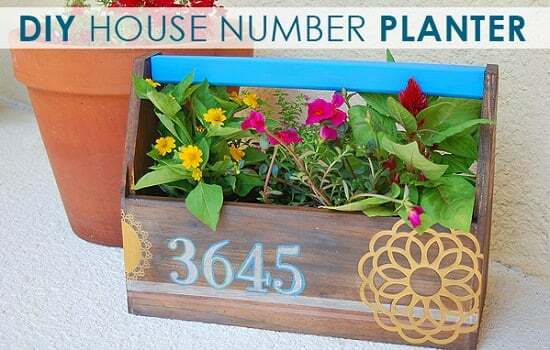 It will decorate your porch and it will allow you to display your house number in a very sophisticated way. It is not uncommon to see a toolbox planter. 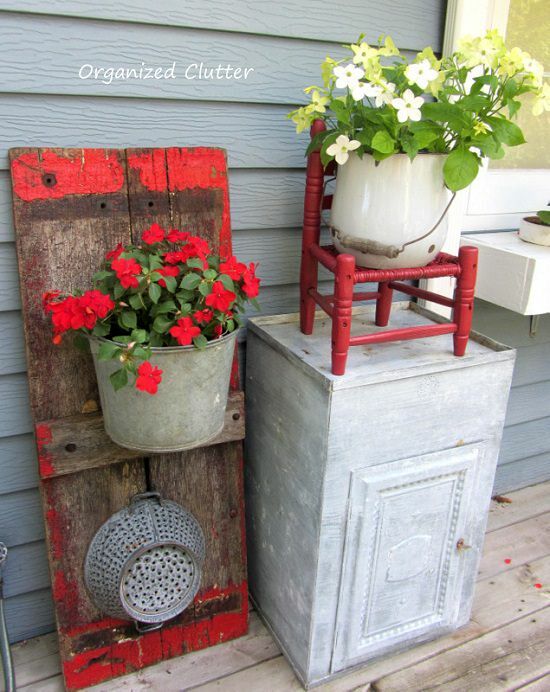 In fact, many people have transformed their old toolboxes into planters. They can be decorated and painted to become attractive planters. 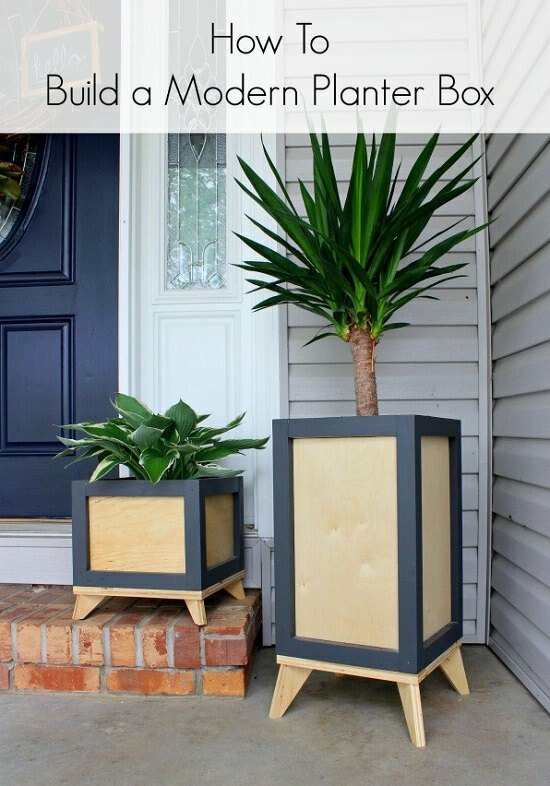 To create a planter that looks like the one in the above picture, please follow these steps. This is a simple yet ornamental planter. It is small enough to fit any space on your porch. Besides, it is very cute. Take a look on this tutorial to learn how to make this cute planter. 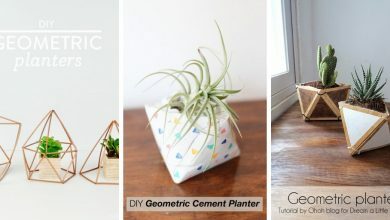 If you are looking for an inexpensive way to make a decorative cute planter, follow these instructions. 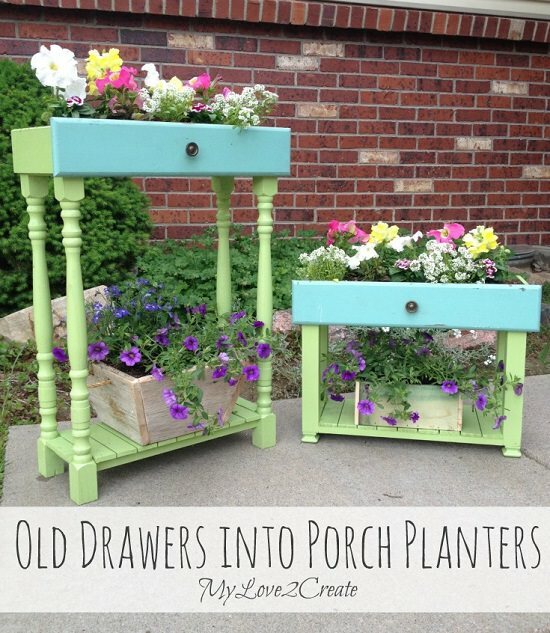 These adorable planters are a nice addition to any porch. 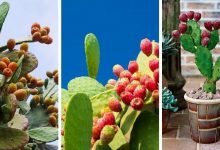 They are very colorful and they will serve as the centerpiece of your porch. Intelligent Domestications will give you all the instructions you need to make this lovely planter. 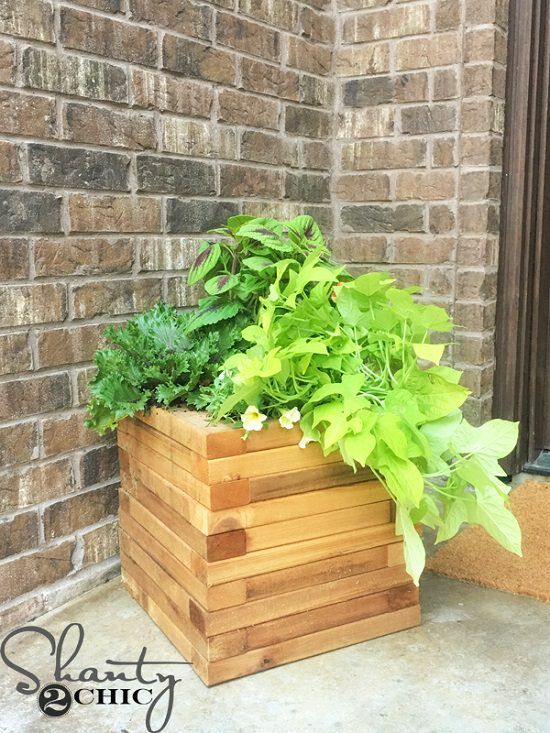 Using a trellis box as a planter is an excellent way to grow many plants on your porch. 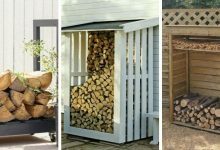 The Lowe’s has a full article that will show you how to transform a trellis box into a decorative planter. This is a project that you could start and finish in one weekend. Spending your weekend working on this planter will definitely give you the results you hoped for. 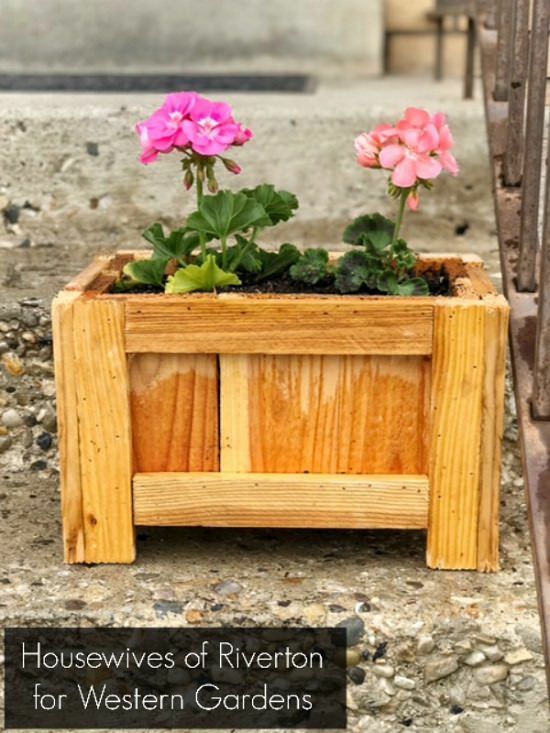 This DIY planter box is definitely worth investing your time in. Check out this guide before you start working on your project. 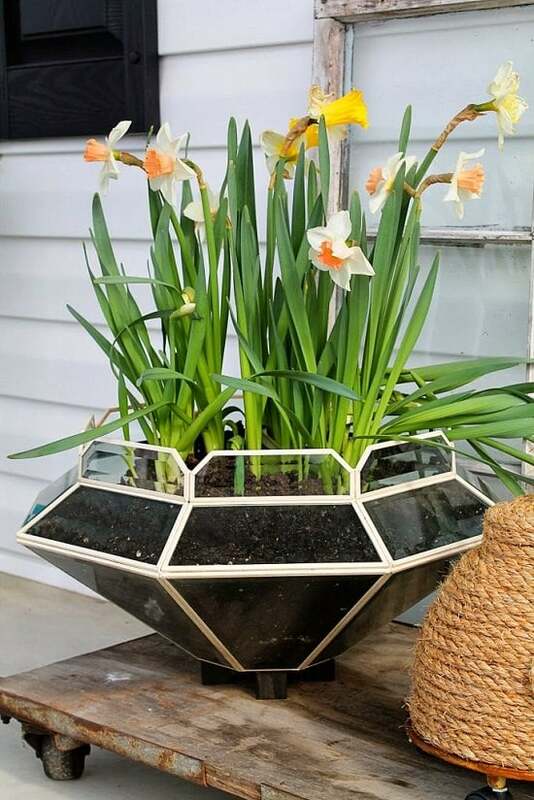 This is another modern planter that will allow you to have a beautiful ornamental garden on your porch. 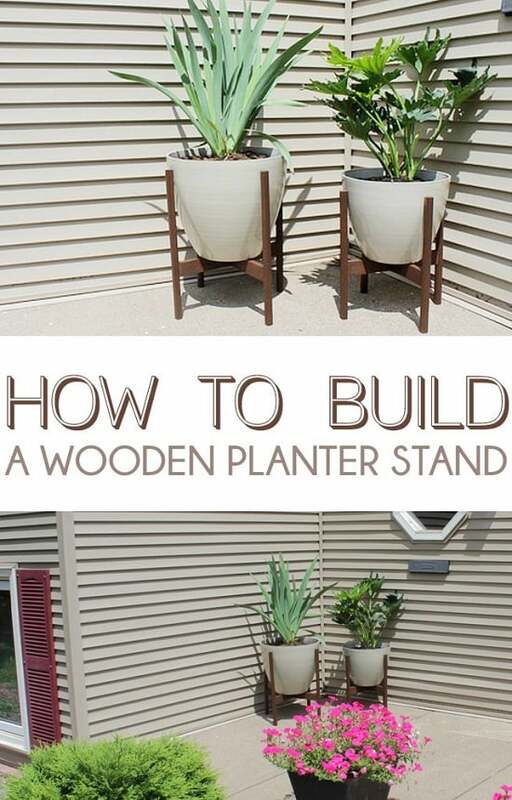 Building this planter is neither complicated nor difficult. Just follow these steps and you will have it in no time. 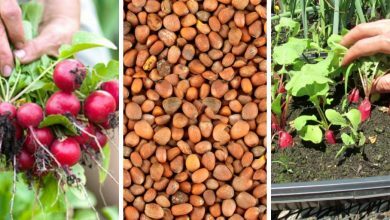 They are called spring planters because just like spring, they are colorful and joyful. 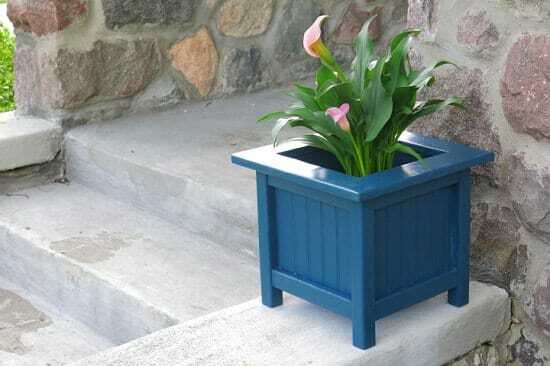 These planters are the easiest way to bring some colors to your porch. Learn how to make them here. I know most of you wouldn’t consider this a decorative planter but at least it is the best way to make use of your wagon board. For more information about this idea, follow this link. This is an exceptional planter. It is very decorative and beautiful as well as very practical. 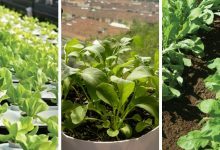 It will allow you to grow many plants. 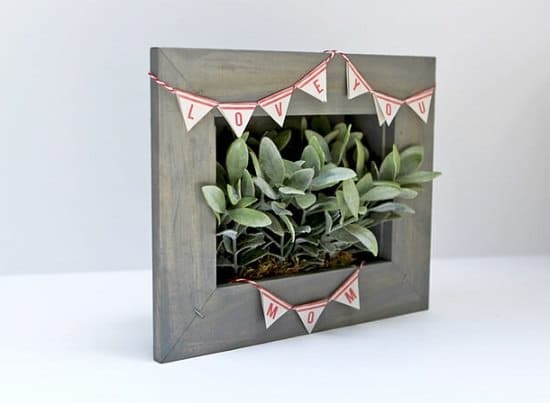 Ashbee Designs has a tutorial that makes creating this planter a piece of cake even if you have never done any DIY projects before. Most of us have useless buckets thrown away around the house. 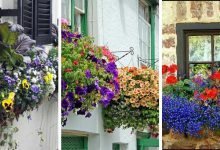 However, we have never thought of transforming these buckets into planters despite that they can be very charming planters. The instructions are here. 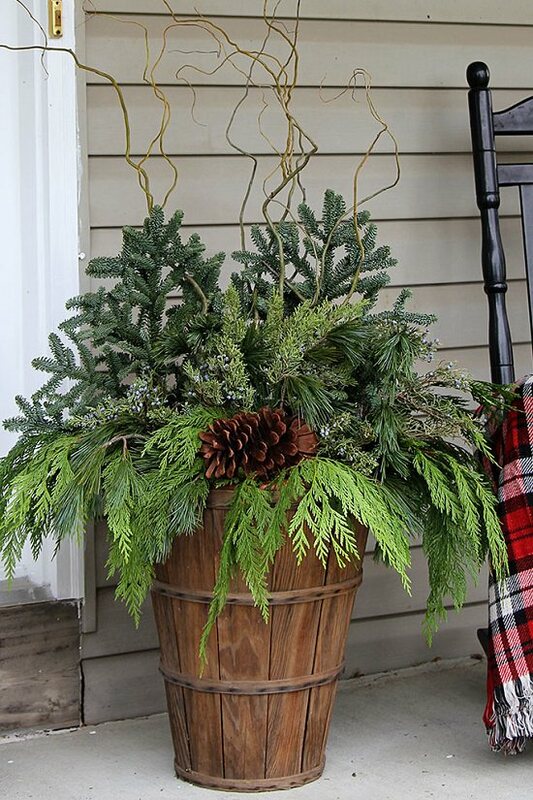 This planter will add a vintage look to your porch. It is easy to make as long as you follow these instructions. 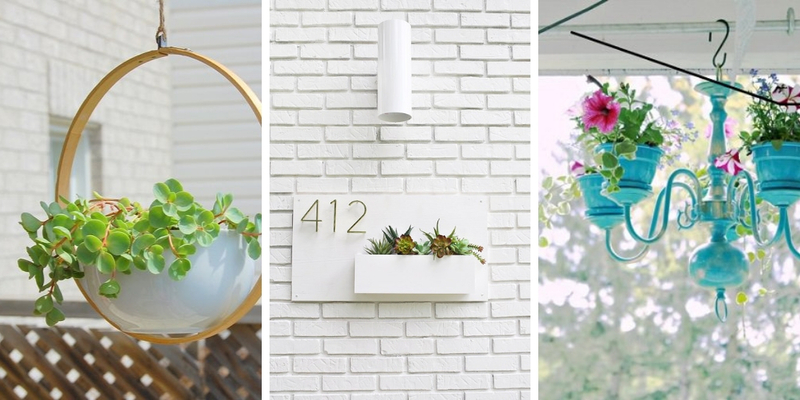 These are the most amazing porch planters. 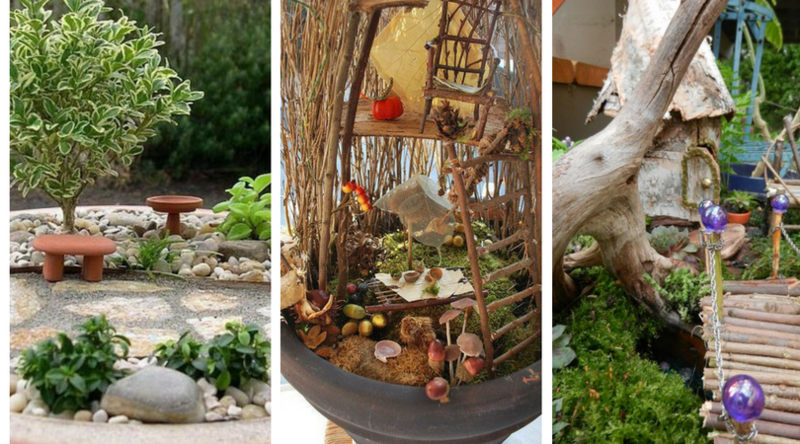 These planters will help you have an extremely decorative garden on your porch. If you ever face a problem making one of these planters, don’t hesitate to contact us.